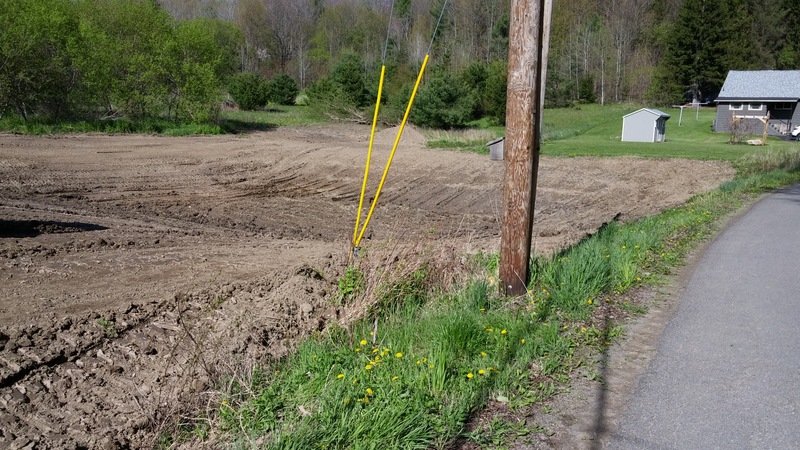 Detention Pond on Antler’s Inn Road – update. I recorded exactly 5 inches of rain at my house (42 E. Lake Rd.) in the Oct 20-21, 2016 time frame. 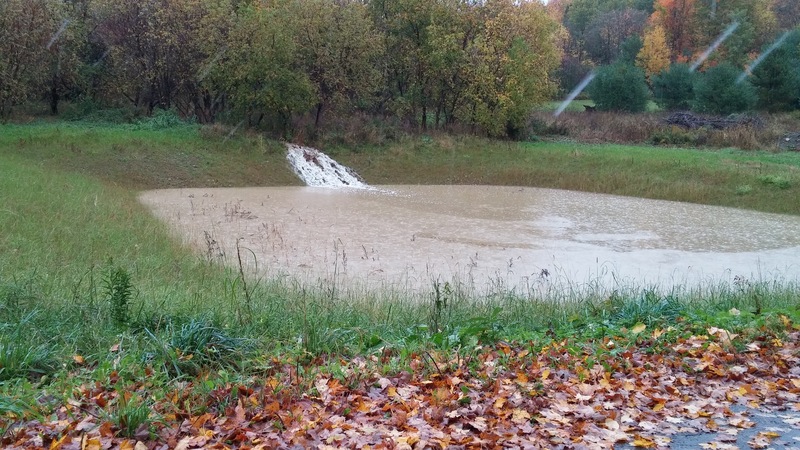 The first photo below shows the Antler’s Inn detention pond filling from the stream that comes down the hill on Dale Varguson’s property. This photo was taken on Oct. 21 around 1:00 p.m.. At that point the pond was about two feet below the bottom of the pipes that go under the road to the lake. Dale took the second photo below when the pond was just about full. Hopefully, at that point some of the sediment had settled out and somewhat cleaner water was flowing into the lake through the two pipes under the road. 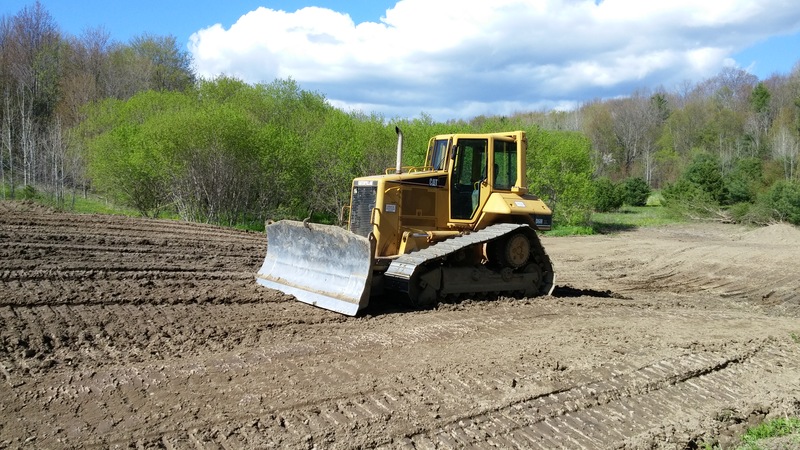 Jeff Kanavel and his crew finished bulldozing the detention pond just north of Antler’s Inn Rd. on Wednesday May 18, 2016 at a cost of $3,100. The project was paid for by contributions to LLWIA. 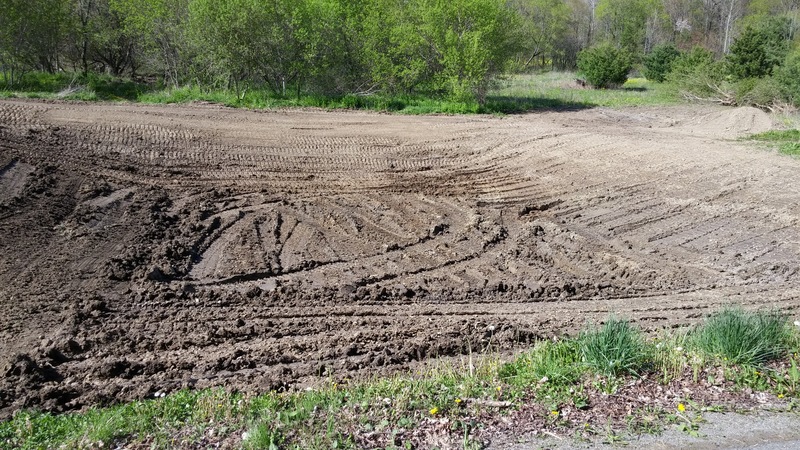 We thank Dale Varguson for supporting the construction of this pond on his property. The purpose of a detention pond is to store water temporarily when there is a big rain. The water can then drain out at a controlled rate (in this case into Loon Lake). 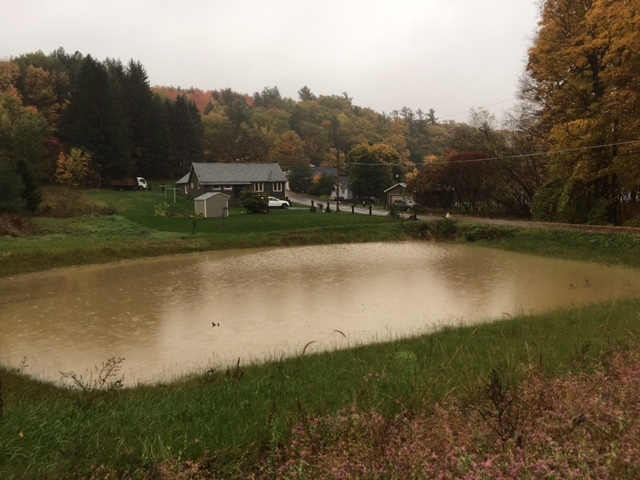 In addition to controlling flooding around the lower Antler’s Inn Road area, the hope is that the pond is deep enough to allow for some settling out of silt before the water rises enough to start draining into the lake as cleaner water. If successful, this would somewhat slow down the siltation at the north end of the lake.